A Viking boat burial with a view. 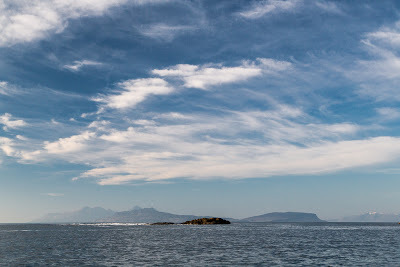 Leaving Fascadale, the SE wind had dropped considerably and we enjoyed the view to the Small Isles Rum and Eigg. ...inland rose to the rocky summit ridge of Ben Hiant, 528m. 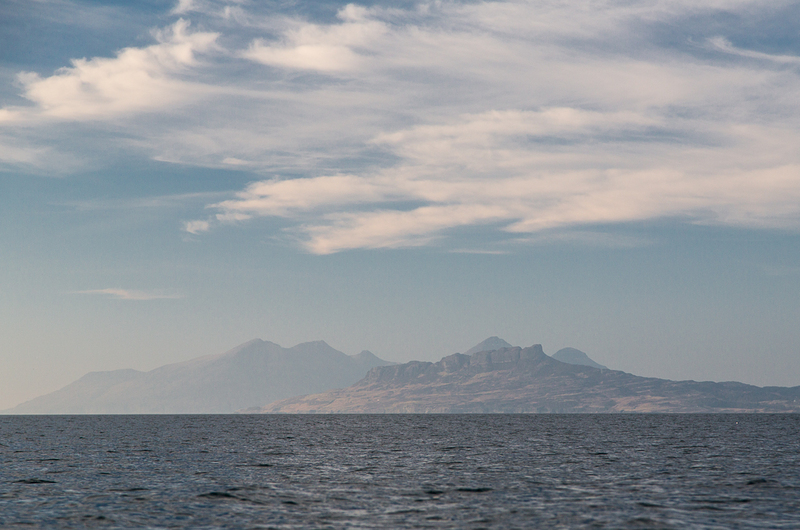 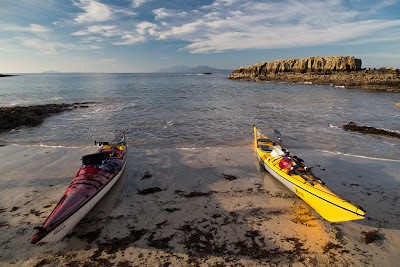 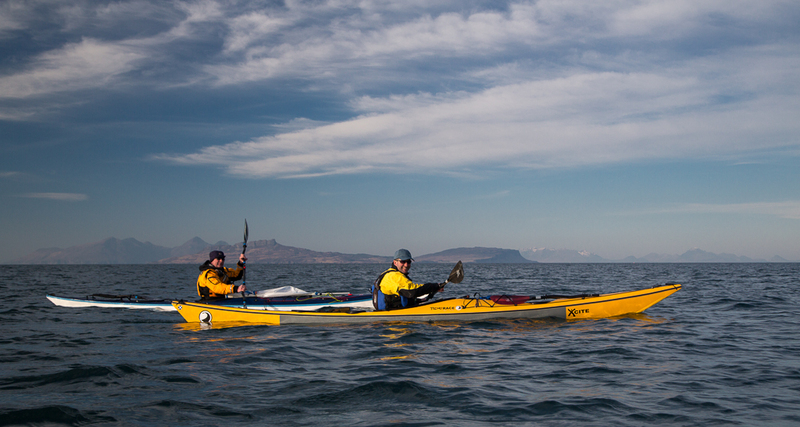 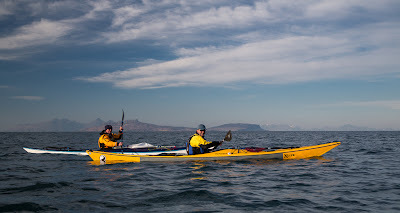 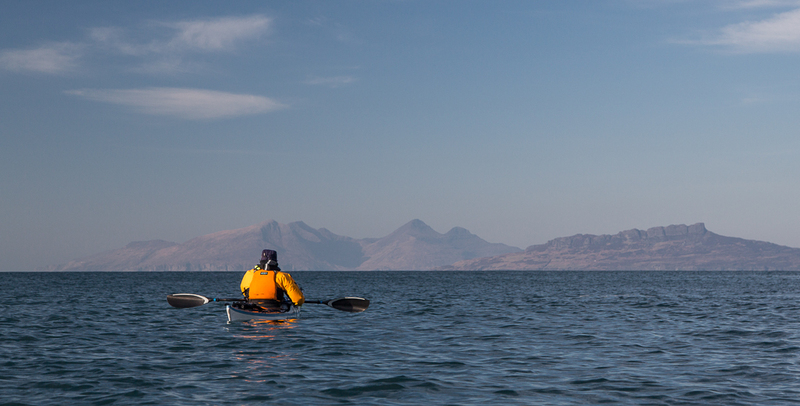 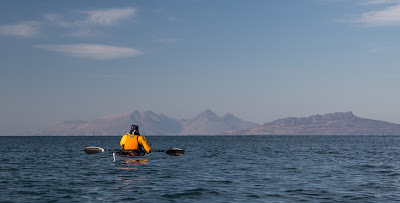 As we journeyed east the distinctive profiles of Rum and Eigg slowly slid past each other. 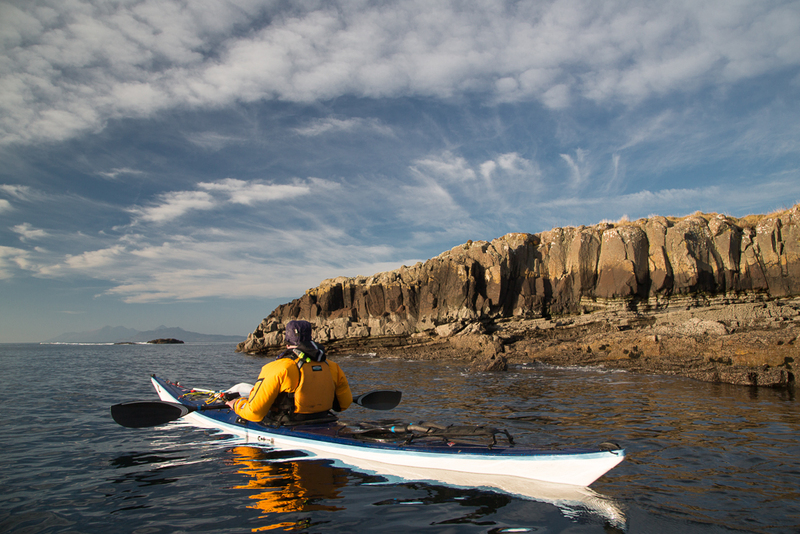 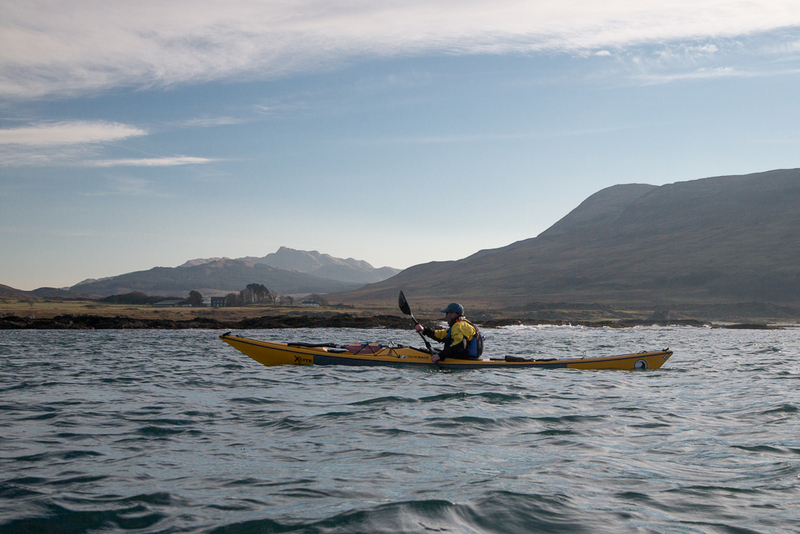 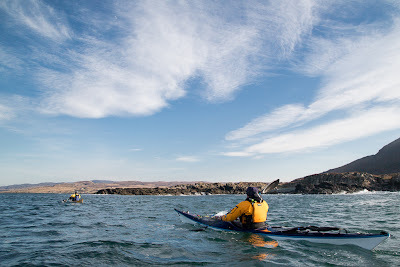 A continuing feature of the north Adnamurchan coast is the sparsity of landing places. 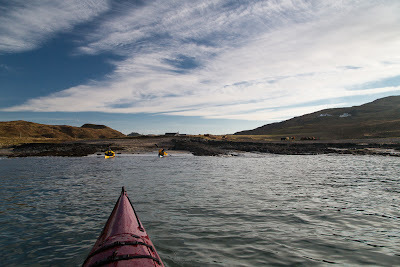 ...at the head of Swordle Bay. 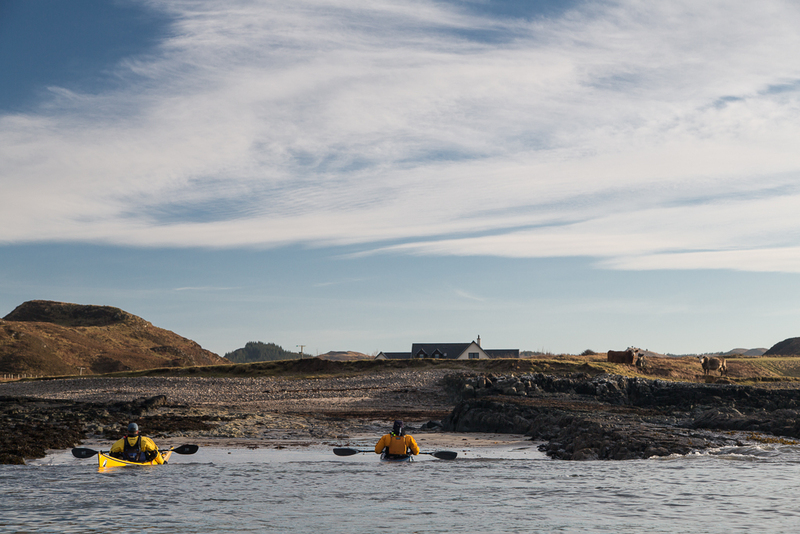 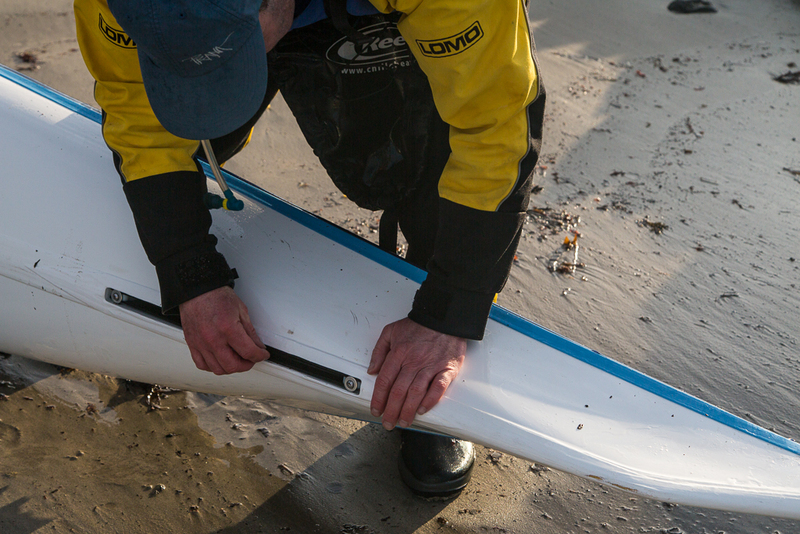 Whenever we find a landing place like this we know that it has been used by generations of travellers before us. It is always interesting to discover what archaeology lies in the immediate vicinity. In this case, there is a Viking boat burial, dating from the 9th or 10th century, just behind the beach. 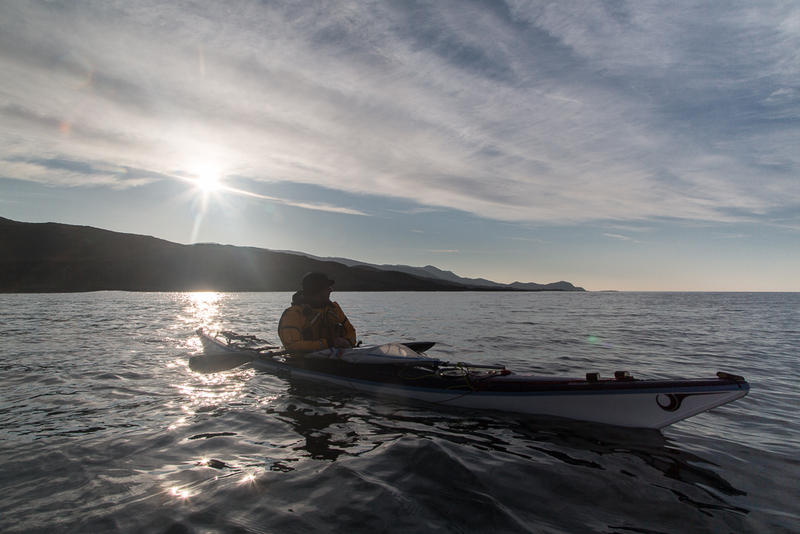 ...had time to appreciate the beauty of our surroundings. 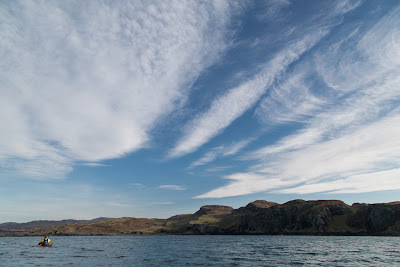 I loved the way the clouds seemed to radiate from the volcanic rocks of Eilean Mhoir. ...Skye. It is humbling to think of the generations of mariners who have enjoyed this view, both before and after the Swordle Bay Viking last sailed these waters.